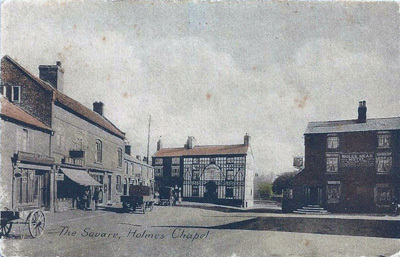 The Square c1914 looking towards Knutsford Rd with shops including Morreys to the left. 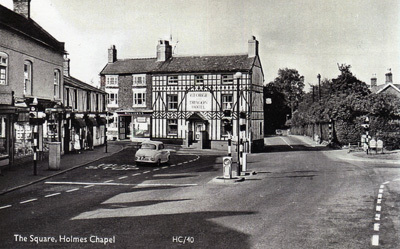 The old George and Dragon (demolished May 1970) is to the left of Knutsford Rd and the Bulls Head (demolished 1948) is to the right. Dancing in the Square possibly May Day. 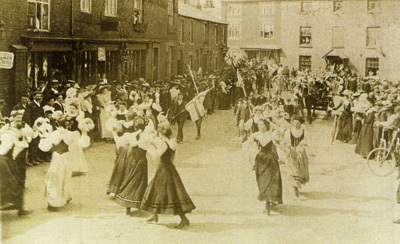 Note the building on the right is the George and Dragon without any cladding dating the photo as 1903 at the latest. 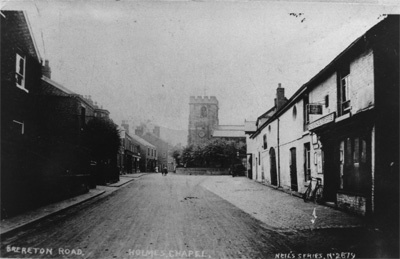 Brereton Road, now London Road in the early 1900s, looking towards the Church with the orginal outbuildings of the Red Lion to the right. 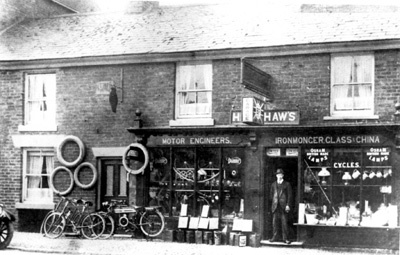 On the near right is the Post Office, now an Estate Agents. The building on the left is now a carpet shop. 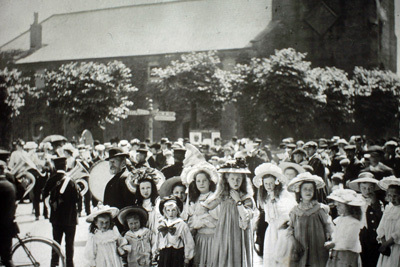 A May Day Celebration in the Square. 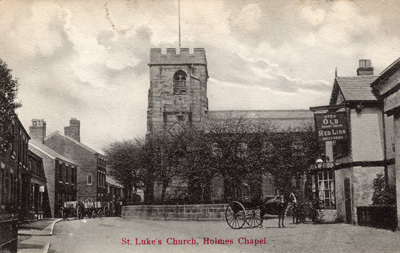 Note the lime trees round the church. These were planted in 1744, some were scorched by the fire of 1753. They were removed in 1965. 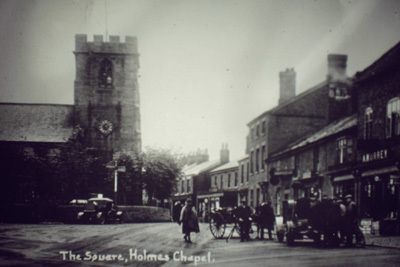 The Square in the 1960's. 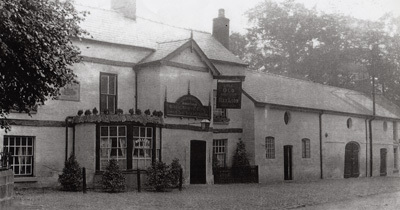 The old George and Dragon was demolished in 1970 to widen Knutsford road. The current George and Dragon was built further back on the same site.